Eco Certified tourism operator, all vehicles are carbon offset! 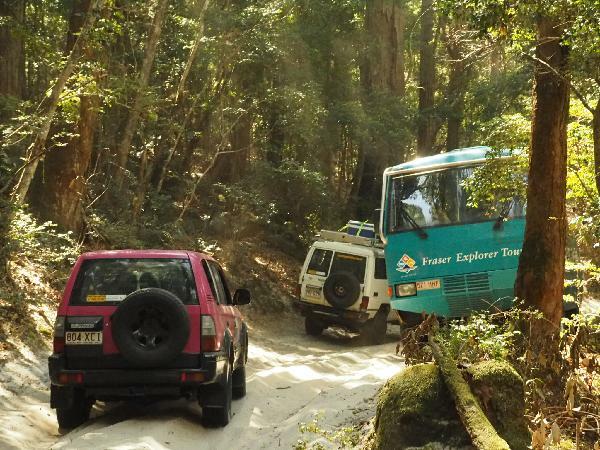 Do you want to drive a 4WD but would also like a guided tour? Do you want a 4WD adventure but not so keen on camping? Do you want a small group but still like to socialise? Get the best of both worlds with a Fraser Dingo Tagalong Tour, the perfect balance between adventure and comfort! 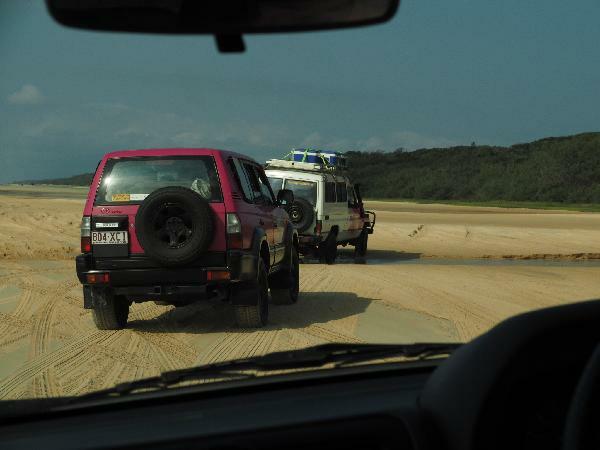 Explore Fraser Island by day in our pink automatic 4WDs and enjoy the comfort of the accommodation at night (with great food, dorms and hot showers!). So, what is a Tagalong Tour?? This is where the lead 4WD is driven by our experienced and knowledgeable guide. The following 4WDs are driven by you guys, the customers that nominate to drive on the tour. You don’t need experience driving a 4WD, our thorough safety briefing and experienced guide will make sure you are ready for a once in a lifetime driving experience! Customers tell us it is the best thing they have done in Australia! You must be 21 or over to drive, but don’t worry if you are under 21, you can still come along as a passenger and experience the best 4WD adventure! Food: we cater for vegan / vegetarian / gluten free / lactose free. We include all main meals and some snacks! Fraser Island 2 day 1 night and Whitsundays Combo! You can bring on the tour only a small backpack, there is not enough space in the vehicles to bring suitcases/travel backpacks! Luggage storage available for $10. If less than two vehicles on the tour, the lead guide is the only person legally allowed to drive the vehicle. Alternative accommodation is possibly used without notice. Minimum numbers are required for the tour to depart. 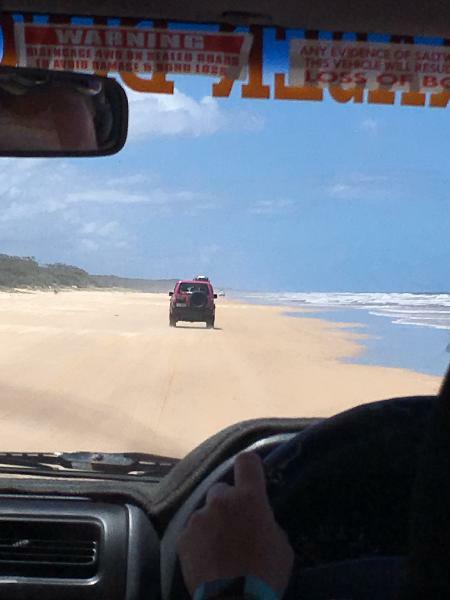 Fraser Island Tag Along was one of the best things I've done in Australia. It was a great experience. Our awesome guide made it so special. He had loads of info and showed us a lot about this beautiful island, from the cane toads to eatable plants. We had heaps of fun driving through the sand. But if you have enough time make sure you take the 3day tour. The trip was well organised. Driving along the beach with a 4WD was really fun. 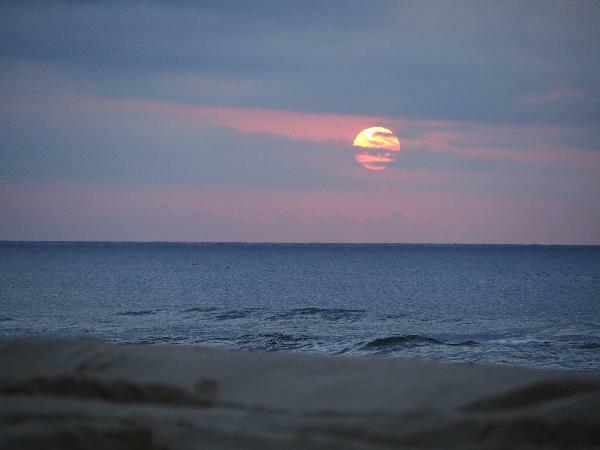 The guid knows a lot about the enviroment and history of Fraser Island. The accomondations is OK. What I didn't Like is that you have to pay for a sleeping-bag. I think this should be included. Also you were not allowed to bring your big bag, what is OK. But besides this, I had a really good time and recomend this tour. The tour was nice and the guide as well. Some more spots had been great. Unfortunately the food wasn't worth it for the money. It wasn't enough. It was cooked to less and at the end It was running out before everyone got some. The weird thing was as well that the volunteers took the food before us. 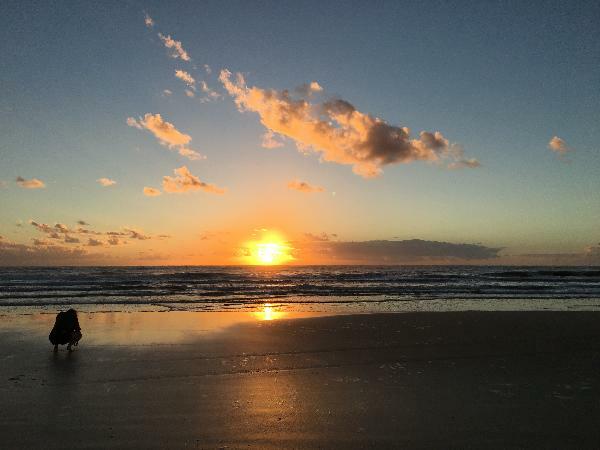 Your message has been sent to 2 Day 1 Night accommodated Fraser Island tagalong tour – ex Hervey Bay. You should hear from them shortly. Please note: all responses will come directly from 2 Day 1 Night accommodated Fraser Island tagalong tour – ex Hervey Bay, and not the team at Bookme.